Three portal fissures (splits) relating to the anterior segment. rf Indicates right portal fissure; af, anterior segment fissure; mf, main portal fissure; L, lateral segment; D, dorsal area of the anterior segment; V, ventral area of the anterior segment; P, posterior segment; M, medial segment; and FL, falciform ligament. Two variants of the first-order portal branches. A, Bifurcation type. B, Trifurcation type. PS indicates posterior superior branch; A, second-order right anterior portal branch; L, left portal branch; PI, posterior inferior branch; and PV, portal vein. Three variants of the second-order portal branches. A, Y-shaped type. B, Single-tip type. C, Two-branch type. PS indicates posterior superior branch; A, second-order right anterior portal branch; L, left portal branch; PI, posterior inferior branch; and PV, portal vein. Two groups (light and dark gray branches) of the third-order portal branches of the anterior segment. The black line indicates the anterior segment fissure; PS, posterior superior branch; A, second-order right anterior portal branch; LPV, left portal vein; PI, posterior inferior branch; and PV, portal vein. The correlation of the portal branches and the anterior segment–specific hepatic vein (HV). Specimens are opened along the anterior segment fissure. D indicates dorsal area of the anterior segment; V, ventral area of the anterior segment; TPV, tip of the second-order portal vein and medial segment. Four variants of the correlation between the third-order portal branches and the anterior segment–specific hepatic veins (asterisks). R indicates right hepatic vein; M, middle hepatic vein; L, left hepatic vein; PV, portal vein; light gray shading, ventral area; and dark gray shading, dorsal area. Background A minimum, but necessary amount, of cancer-containing liver tissue is to be excised in patients who have poor liver function. To achieve that goal of excision, a limited hepatic resection has been carried out. However, performing subsegmentectomy of the anterior segment according to the conventional segmental anatomy introduced by Healey and Schroy or Couinaud is difficult. Because the transverse border between segments 5 and 8 was drawn as an imaginary line through the right portal vein, there is no anatomical structure indicating this border. Hypothesis Hjortsjo divided the anterior segment into 2 vertical segments according to the fissure in which a hepatic vein coursed. By including Hjortsjo's concept of segmental anatomy, new procedures will be added to hepatic surgery. Design Sixty-five cadaveric livers were dissected to confirm Hjortsjo's concept of segmental anatomy by investigating the vertical fissure that divides the anterior segment into 2 areas, concerning the relation between portal segmentation and the hepatic venous system of the anterior segment. Results The territories of the third-order portal branches of the anterior segment were divided into 2 (ventral and dorsal) areas with a vertical fissure and in its intersubsegmental plane, an independent hepatic vein, or a first-order branch of the middle or the right hepatic vein coursed. Conclusions These findings confirmed the certainty of Hjortsjo's concept of segmental anatomy of the anterior segment. This is relevant for developing new procedures in hepatic surgery. Its reproposal is opportune for adding it as another concept to the conventional segmental anatomy. A LIMITED HEPATIC resection is often used in treating small hepatocellular carcinoma located in the cirrhotic liver with severe liver function. To achieve both a cure of the tumor and the preservation of liver function, a minimum, but necessary, amount of the cancer-containing liver tissue is to be excised.1 The simplest resection involves removing only a small wedge of liver tissue containing the tumor. When a lesion is not amenable to simple wedge resection owing to either its size or location, segmental resection must be performed.2 In performing this procedure, the segmental anatomy concepts introduced by Healey and Schroy3 or Couinaud4 are widely used. However, liver surgeons have difficulties in performing the subsegmental resection of the anterior segment according to these segmental anatomies.5 Because the border between segments 5 and 8 was drawn as an imaginary transverse line through the right portal vein, there is no anatomical structure defining it. In contrast with the segmental anatomy introduced by Healey and Schroy or Couinaud, other anatomical concepts of the human liver have been proposed by Hjortsjo,6 Mikami,7 and Van-Mihn and Tung.8 In those proposals, the anterior segment was basically divided into 2 areas with a vertical plane in which a hepatic venous branch of the middle or the right hepatic vein or an independent hepatic vein coursed. We consider Hjortsjo's segmental anatomy to have surgical relevance for subsegmentectomy of the anterior segment. In addition, recent developments in radiological imaging and operative techniques according to Kanemura et al9 require another concept of segmental anatomy of the human liver including Hjortsjo's concept. The livers of animals such as rats and mice are clearly lobed, and each hepatic lobe has a vertical portal segmentation.10 If the structure of the liver is embryologically similar between these animals and humans, the human liver may demonstrate vertical portal segmentation with a portal fissure. The aim of this study was to confirm the segmental anatomy of the anterior segment introduced by Hjortsjo and to determine its relevance to surgical procedures involving the liver by identifying the distribution of the portal and hepatic veins of 65 livers from adult cadavers. Sixty-five livers from adult cadavers obtained from the Department of Anatomy, School of Medicine, Faculty of Medicine, Gunma University, Maebashi, Japan, were dissected. These livers were fixed in a 10% formalin solution and preserved in a 5% formalin solution. The anterior segment was defined as the area that satisfied the following criteria: (1) the territory of the second-order right anterior portal branch, and (2) the area between the main and right portal fissures in which the middle and right hepatic veins course, respectively. The anterior segment was isolated by dissection of the liver following the middle and the right hepatic veins corresponding to the main and right portal fissures, respectively. Then, the second-order portal branch of the anterior segment was identified by fine dissection of the porta hepatis and its ramifying pattern was investigated. Then, the specimens were examined for the existence of the vertical fissure indicated by Hjortsjo, which divided the anterior segment into 2 subsegments. Thus, the intersubsegmental plane of the anterior segment was exposed following the line extending from the middle of the gallbladder bed to the outlets of the first-order branch of the middle or right hepatic veins or the independent hepatic vein at the suprahepatic inferior vena cava. Finally, the correlation between these hepatic venous systems and the third-order right anterior portal branches were examined. Figure 1 shows the 3 fissures relating to the anterior segment. In this study, the terminology of anatomical segments introduced by Couinaud4 was used for the nomenclature of the liver segmentation. Analysis of the portal venous anatomy of the porta hepatis revealed 2 distinct anatomical variants of the first-order portal branches (Figure 2). The most common variant, observed in 51 cases (89.5%), was the bifurcation, in which the left and right first-order portal branches ramified from the main portal trunk. The other variant was a trifurcation, in which the right first-order portal branch was absent. The trifurcation was formed from the first-order left portal branch and 2 first-order branches of the right portal vein nourishing the anterior and posterior segments, respectively. This was observed in 6 specimens (10.5%). In 8 specimens the portal venous anatomy could not be determined owing to the previous dissection. Analysis of the portal branches revealed 3 distinct anatomical variants of the second-order portal branches in the anterior segment (Figure 3). The most common variant, observed in 34 specimens (59.6%), was the second-order portal branch in the shape of a "Y," of which the tip of the second-order portal branch divided into 2 short branches and from each tip 6 to 8 third-order portal branches radially distributed into the upper three quarters of the anterior segment. The second most commonly observed pattern was a single second-order portal branch and from its tip 6 to 8 third-order portal branches radially distributed into the upper three quarters of the anterior segment. This was observed in 21 specimens (36.8%). The uncommon anatomical variant, identified in 2 specimens (3.5%), was 2 definite second-order portal branches directly ramified from the right first-order portal branch. Each branch nourished the ventral and dorsal areas of the anterior segment with 3 to 4 third-order portal branches, respectively. In 8 specimens, the ramifying type of the portal vein could not be determined owing to a previous dissection. Analysis of the specimens revealed that the anterior segment was nourished by 2 distinct groups of third-order portal branches (Figure 4). The upper three-quarter area of the anterior segment was nourished by 6 to 8 third-order portal branches ramifying from the tip of the second-order portal branch, whereas the lower quarter area of the anterior segment was nourished with the unique third-order portal branches ramifying from the root of the second-order portal branch and directing into the area of the gallbladder bed. The number of these branches was usually 2; however, variable numbers of 1 to 4 branches were observed in different specimens. Both groups of third-order portal branches were further subdivided into 2 subgroups by the vertical line extending from the middle of the gallbladder bed to the middle hepatic vein at the medial point from its outlet to the inferior vena cava. These subgroups of portal branches nourished the ventral and dorsal areas of the upper three-quarter and the lower quarter areas of the anterior segment, respectively; there was hardly any intermingling between the portal branches of these 2 areas. In addition, the upper three-quarter and the lower quarter areas of the anterior segment could not be divided clearly into the 2 areas with the transverse line because the portal branches of these upper and lower areas were entangled with each other. This finding suggested that there were 2 portal subsegmentations in the anterior segment, which were separated by a vertical fissure. The hepatic venous system of the anterior segment consisted of the branches of middle and right hepatic veins that coursed in the main portal and the right portal fissures, respectively. The analysis of the hepatic venous system of the anterior segment revealed an intersubsegmental hepatic vein terminating into the supra hepatic inferior vena cava with an independent ostium or a first-order branch of the middle or right hepatic vein, which lies along the line extending from the middle of the gallbladder bed to the outlets of the first-order branch of the middle and right hepatic veins or the independent hepatic vein at the suprahepatic inferior vena cava. This finding suggested that a hepatic vein or a branch coursed in the intersubsegmental plane of the anterior segment in a manner similar to the location of the middle hepatic vein in the main portal fissure from the gallbladder bed to the inferior vena cava. Figure 5 shows the tip of the second-order portal branch from which the third-order portal branches ramified into the ventral and dorsal areas and the specific hepatic vein lying in the plane between these 2 areas. Then, the analysis of the hepatic venous system of the anterior segment revealed 4 distinct variants for the correlation between the distribution of the portal branches and the hepatic veins. The most common variant was the first-order branch of the middle hepatic vein running along the intersubsegmental plane of the anterior segment (Figure 6A). This was observed in 31 specimens (14 large veins, 12 middle veins, and 5 small veins) (54.4%). The second most commonly observed pattern was the independent hepatic vein lying along the intersubsegmental plane of the anterior segment (Figure 6B). This hepatic vein terminated into the suprahepatic inferior vena cava at the right side from the common trunk of the left and middle hepatic veins with a distinct ostium. This was observed in 11 specimens (5 large veins, 4 middle veins, and 2 small veins)(19.3%). The joint second most common variant, observed in 11 specimens (4 large veins, 6 middle veins, and 1 small vein) (19.3%), was the first-order branch of the right hepatic vein coursing in the intersubsegmental plane of the anterior segment (Figure 6C). The fourth rarely observed pattern was the third-order branch of the middle hepatic vein ramifying transversely into the intersubsegmental plane of the anterior segment (Figure 6D). In this pattern, the anterior segment was divided into 2 areas with a transverse fissure. This was observed in 4 specimens (all middle veins) (7.0%). As indicated earlier, the intersubsegmental hepatic vein or the hepatic branches were set deep and directed anterocaudally to the gallbladder bed along the intersubsegmental plane of the anterior segment. When the anterior segment was divided along these hepatic veins, there was almost no intermingling of the portal branches between the 2 areas and the tip of the second-order portal branch became visible. These findings suggested that the anterior segment basically had distinct portal subsegmentation with a vertical fissure that was located by a hepatic vein or the first-order branch of the middle or the right hepatic vein. Healey and Schroy3 in the early 1950s, and Couinaud,4 introduced the segmental terminology that is widely used; it is an extension and modification of the terminology suggested by a number of earlier investigators.11-14 Healey and Schroy divided the human liver into 4 segments by 3 vertical fissures named "right," "middle," and "umbilical," with 3 small subsegments related to the traditional caudate lobe. The right and middle fissures were defined by coursing the right and middle hepatic veins, respectively. The medial margin (the umbilical fissure) of the lateral segment was defined by the falciform ligament.15 Each of these segments was divided into 2 subsegments by a transverse line drawn through the right and left portal branches and, finally, into a total of 8 subsegments. Couinaud also accepted the established interlobar fissure and defined similar segments throughout, but he considered the medial portion of the left lobe to contain 1 segment, instead of the 2 (medial superior and medial inferior areas) proposed by Healy and Schroy, and, finally, made a schema with a total of 8 segments by adding the caudate lobe as 1 segment. In these segmental anatomies, the anterior segment was defined as an area between the right portal and main portal fissures, being nourished by a second-order right anterior portal branch. It was further divided into segment 8 (superior) and segment 5 (inferior) subsegments by an imaginary transverse line drawn through the right portal branch. Couinaud first defined these 2 subsegments as follows: the anterior portal branches delimit segment 5 and the posterior portal branches delimit segment 8.4 However, he did not propose any anatomical definitions of these portal branches. Then, he gave another definition on the transverse line as follows: a transverse plane through the hilum limits segment 8 inferiorly and the posterior limit of segment 5 is approximately the plane along the axis of the hilum, perpendicular to the inferior surface of the liver.16 However, no anatomical structures have been proposed as indicators of this transverse plane. 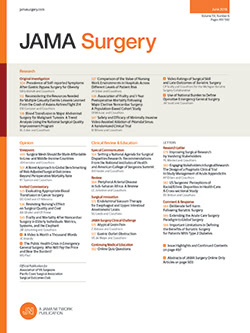 From an abundant experience of hepatic surgical procedures, Takasaki5 recently emphasized that such portal subsegmentations as Healey and Schroy and Couinaud introduced do not exist in the anterior segment of human livers, and in contrast with these conventional segmental anatomies, Takasaki proposed another anatomical concept that the anterior segment consisted of 6 to 8 units, each of which was nourished by an individual third-order portal branch, respectively. However, Takasaki did not refer to Hjortsjo's segmental anatomy in his article. In the segmental anatomy proposed by Hjortsjo6 in 1951, the liver was divided into 2 main lobes with the main boundary fissure being coincident with the main portal fissure of Couinaud4 and each main lobe was further divided into 2 segments with 2 vertical fissures, respectively. The 2 fissures of the left main lobe were named the "sinistral" and an "incidental fissure," which corresponded to the left portal and umbilical fissures of Couinaud, respectively. The right main lobe was also divided into 3 segments from the right side, that is, dorso-caudate, intermediate, and ventro-cranial segments, with 2 vertical fissures that were named the "dorsal segment" and "ventral segment" fissures. This is significantly different from the segmental anatomy widely used today.17 The dorsal segment fissure defined by the right hepatic vein corresponded to the right portal fissure of Couinaud, so the dorso-caudate segment would be equal to the posterior segment widely used today. Thus, the remaining intermediate and ventro-cranial segments together correspond to the anterior segment widely used today. This means that the anterior segment is inevitably divided into 2 subsegments by a vertical fissure. However, there is no terminology in the conventional liver anatomy that corresponds to the ventral segment fissure proposed by Hjortsjo. We provisionally name it "anterior segment fissure." Hjortsjo indicated that a hepatic vein lying in it defines the ventral segment fissure. Nawar et al18 reported that a similar feature was also observed in the fetal liver. They proposed that the right lobe of the fetal liver was divided into 3 segments with 2 vertical fissures. Mikami,7 in 1956, and Van-Minh and Tung,8 in 1968, independently proposed a similar but slightly different subsegmentation of the anterior segment. In those proposals the upper three quarters of the anterior segment were divided into 2 subsegments by a vertical fissure, that is, anterior superior ventral and anterior superior dorsal subsegments. These subsegments corresponded to the territories that were nourished by the ventral and dorsal sides of the third-order portal branches ramifying from the tip of the second-order right anterior portal branch. They classified the remaining lower quarter of the anterior segments as 1 subsegment, that is, the anterior inferior subsegment. This was defined as the territory that was nourished by the third-order portal branches ramifying inferiorly from the root of the second-order right anterior portal branch to the gallbladder bed. They regarded this small subsegment as an independent one. If these observations are accepted, the border between segments 5 and 8 is settled among the border of these 2 territories. However, in the present study it was found that there was considerable intermingling between the third-order portal branches of the upper three-quarter and the lower quarter areas and that the lower quarter area was rather divided into 2 small areas by a vertical fissure that was linked to the vertical fissure lying in the center of the upper three-quarter area. Recent developments in imaging made it possible to visualize the distribution of the hepatic vessels without hepatic dissection.25,26 Kanemura et al9 investigated the distribution of the hepatic vein using 3-dimensional computed tomography and obtained a concept that the anterior segment was to be classified into 2 vertical units. This observation may suggest that the segmental anatomy of Hjortsjo is well grounded to the anatomy of the human liver. Hjortsjo's subsegmentation is relevant to performing the subsegmentectomy of the anterior segment and the living-related liver transplantation using the right lobe,24 and is useful for analyzing new hepatic imaging.9 Reproposal for Hjortsjo's segmental anatomy is opportune for adding it as another concept to the human liver anatomy currently widely used. We thank Masatoshi Makuuchi, MD, PhD, from the Department of Surgery, Graduate School of Medicine, University of Tokyo, Tokyo, Japan, and technicians Fujio Takahashi, CE, and Mitsuaki Shikata, CE, from the Second Department of Anatomy, School of Medicine, Faculty of Medicine, Gunma University, for suggestions, advice, and cooperation. Corresponding author and reprints: Kimitaka Kogure, MD, PhD, Department of Surgery I, Faculty of Medicine, Gunma University, 3-39-22 Showamachi, Maebashi 371-8511, Japan (e-mail: kogurefm@showa.gunma-u.ac.jp).